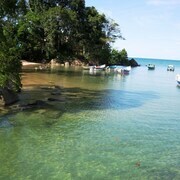 Nestled on the beach, this Lundu hotel is 0.1 mi (0.1 km) from Gunung Gading National Park. 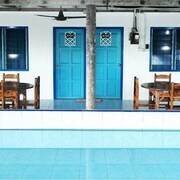 Nestled on the beach, this Lundu guesthouse is 0.1 mi (0.1 km) from Gunung Gading National Park. Bad experience booking through expedia because hotel was fully booking on that day but your web side not up to date .... lucky we manage find other hotel for replacement. 1st & llast time i use your web side. Travellers to Sematan will find plenty to explore and enjoy. There are 2 hotels and other accommodation options in the surrounding area.